One thing I would like to try is the newest and famous and easiest way to lose excess weight within a week. I tried to balance and count calories, but that doesn't work right away. I don't work out every day, yet I walked and move around as much as I can in and outside the house. I received the product in the mail through the UPS. I was surprised that the shipping box is way too bigger than what the product size. YES!! One thing about the shipping box, I do find it wasteful whenever they ship something small in a huge box. I know they want to ensure the product will be safe, however, I don't find it smart. Anyways, the body wraps has a pretty vivid instruction on the outside packaging. Very eye catching and I like how the cautious are well-written to ensure those who are pregnant, breastfeeding mothers can wait until they are done to make sure no harm being done. It has 4 pieces of body wrap inside, and for the price itself, I would say it is fair. I apply the patch to my belly because it is the worst part of my body that I'd like to remove the cellulite fast. Very simple and make sure you clean that area too. I have the hard time at first, but it is manageable when you know exactly what you are doing. At first I feel nothing, just the feeling of there is something sticking in your body. After a while, I never even feel about it. But make sure you timed it, the normal time that you should wear the patch is 6-8 hours, for some reason I got occupied and its lapse but not a big of a deal at all. After I removed the patch, I feel a warm and light in my belly too and yes, I do notice a little difference. 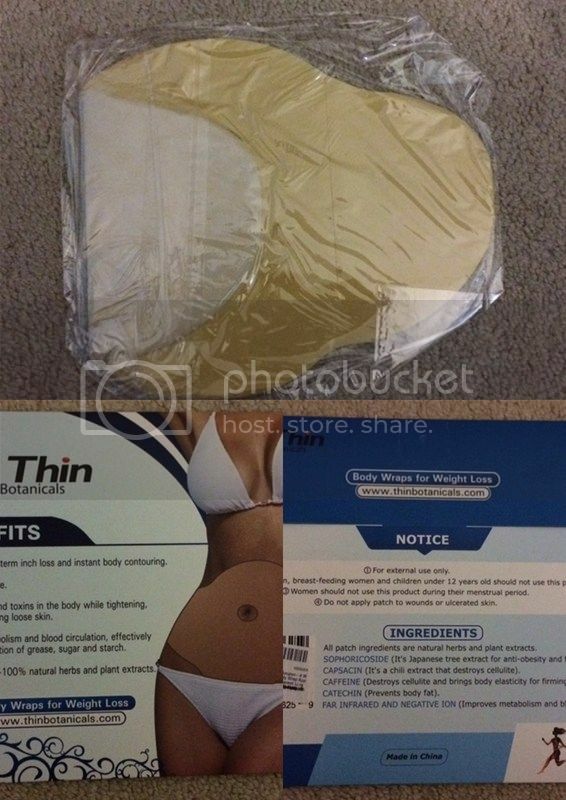 I am still using the remaining patch and hopefully to lose more inch in my belly area. You can find the product on Amazon.